They said that the dozens of worshippers who frequent the synagogue, located near the area's business center, were most likely unaware of the existence of the armaments. At this point, it is unclear whether the arms cache belonged to the organization or whether it was merely a private stash belonging to one of the members. 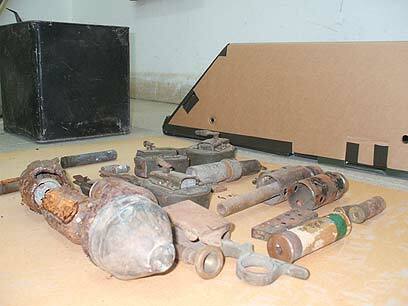 See all talkbacks "Pre-independence weapons discovered in synagogue"